Sign up to join the next cycle of Learning Circles beginning in January 2018! Learning Circles are highly interactive, project-based partnerships among a small number of schools located throughout the world. Select a theme, such as Places and Perspectives, My Hero, or Global Issues: Environment, and get matched with a group of schools for the project. Check out the Learning Circles page for more information and to register. 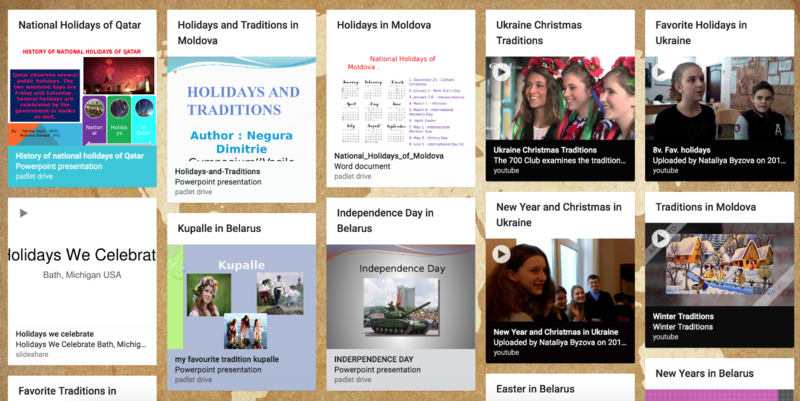 Congratulations to the participants from the September 2017 to January 2018 Learning Circles groups for their project work - check out their final projects! The Save the Innocent project invites participants to join the second phase of the project as students work together to produce a video to address the challenges facing children born or infected with HIV. The Save the Innocent project is an international, collaborative media creation project that engages youth in learning more about HIV and AIDS and how to support all children in growing and achieving their dreams. 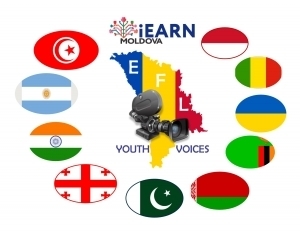 iEARN-Moldova invites English language teachers from all around the world to register to participate in the EFL Youth Voices Project for 2018. The purpose of the project is to recognize and reward EFL (English as a Foreign Language) student projects which use art, film, music and online tools to draw attention to the UN Sustainable Development Goals. The project will be organized in four stages from January through May, 2018. 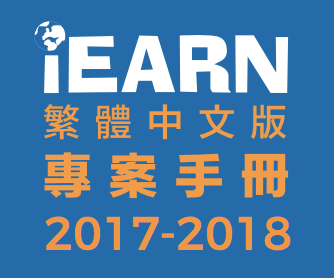 The 2017-2018 iEARN Project Book is available in Traditional Chinese, translated by the team at iEARN-Taiwan. The book includes a description of joining and getting started in iEARN projects and descriptions of iEARN projects for the year. 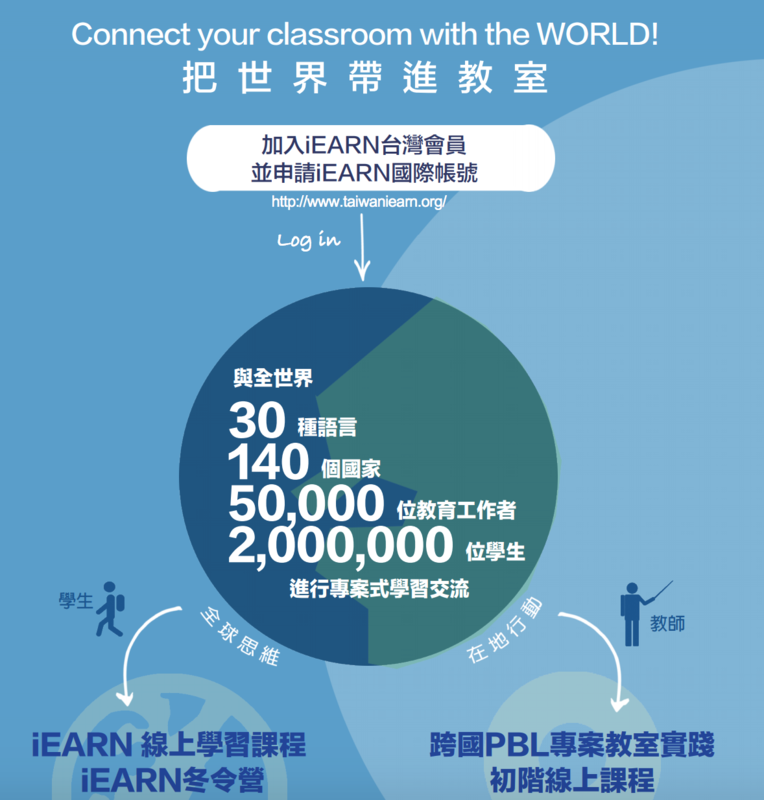 把世界帶進教室 - Connect your classroom with the world! Check out new and updated resources for getting started in global projects on the iEARN Teachers Guide. New resources include template letters for introducing iEARN to parents or school administrators, updated buddy contracts, and activity plans to introduce your students to iEARN. Visit the new conference website at iearn2018.org to check out conference details including information about the conference theme and proposals, details about the youth summit, and registration and preparation information. More details will be added to the site in January with registration forms opening February 1, 2018. The 2018 iEARN Conference and Youth Summit will take place from July 8 - 14, 2018 in Winchester, Virginia in the United States. The theme for the 2018 conference, “Global Collaboration for Sustainable Development”, will celebrate iEARN’s 30-year history of people and projects that have changed the world while also envisioning a future where educators and youth work together to build a more peaceful and sustainable world.